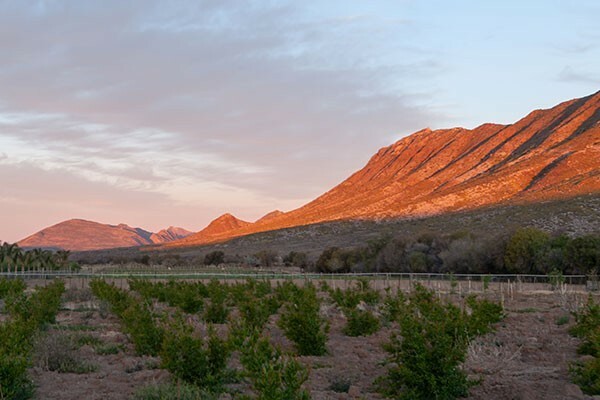 We offer our guests the opportunity to enjoy the peace and quiet of the Karoo in five-star luxury. Our establishment’s unique location allows visitors spectacular views of the surrounding mountains and a “farm” feel practically in the quaint hamlet of Prince Albert. 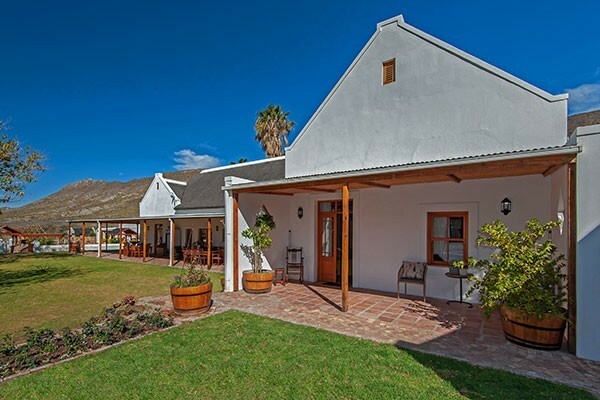 The original farmhouse is a national listed building with an almost 360 degree view of the mountains and surrounds. It’s the perfect place from which to admire beautiful sunsets and starry skies in summer, to warm up next to the fire in winter, or to take the perfect photos all year round. 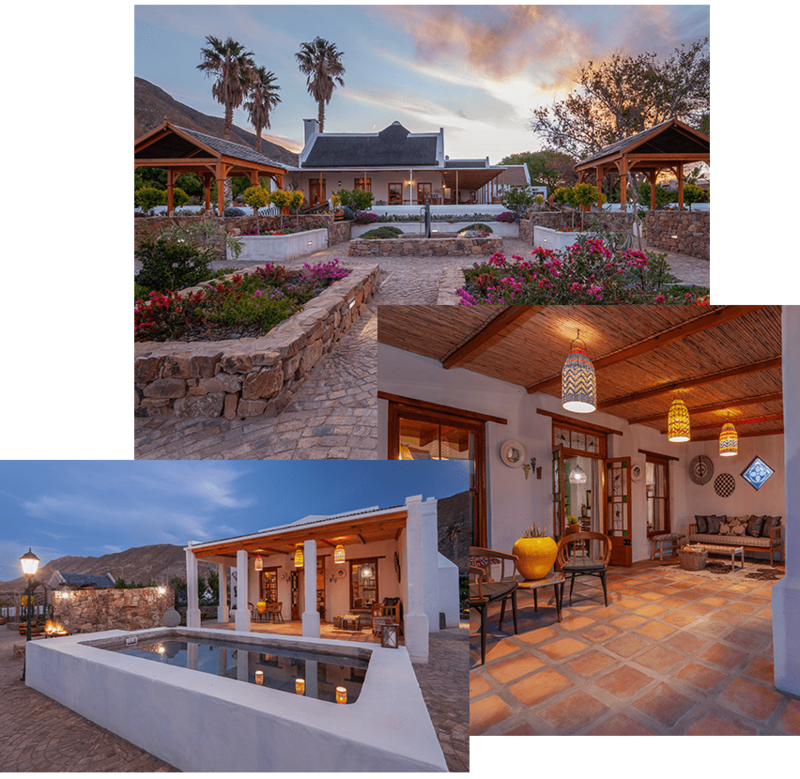 Our indigenous and exotic Karoo garden is great for exploring, or to relax in, and it complements the homestead perfectly. Guests are welcome to help themselves to seasonal fruit from our fruit trees and they will be treated to fresh produce directly from our vegetable garden daily. 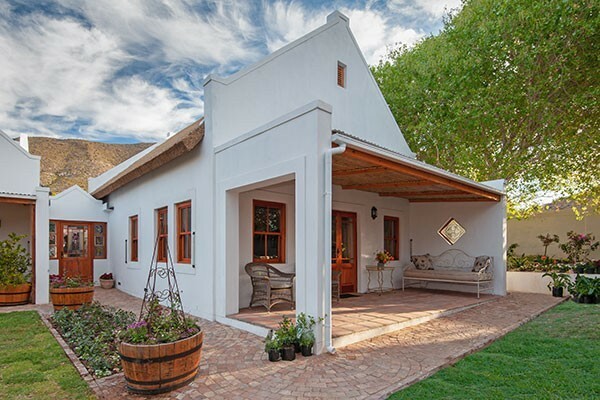 All our rooms are newly refurbished with a focus on luxury, space and Karoo chic at it’s best. Rooms are equipped with an air-conditioner, a coffee and tea station, a television set with DSTV, a bar fridge, quality linen, and an en suite bathroom with a shower and a bath. 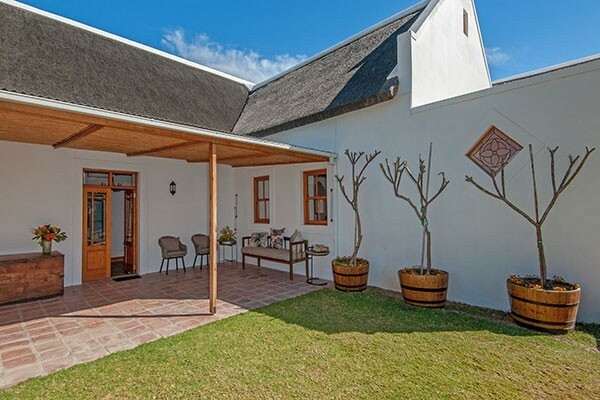 We offer our guests the opportunity to enjoy the peace and quiet of the Karoo in five star luxury. Our establishment’s unique location allows visitors spectacular views of the surrounding mountains and a “farm” feel practically in the quaint hamlet of Prince Albert.